For dinner tonight, we had boudin (a sausage made with pork, rice and seasonings) and sweet potato biscuits. While these don’t rise too much, I still should have tested my baking powder first. Test with a teaspoon of baking powder in a cup or so of hot water and, if active, it should foam. 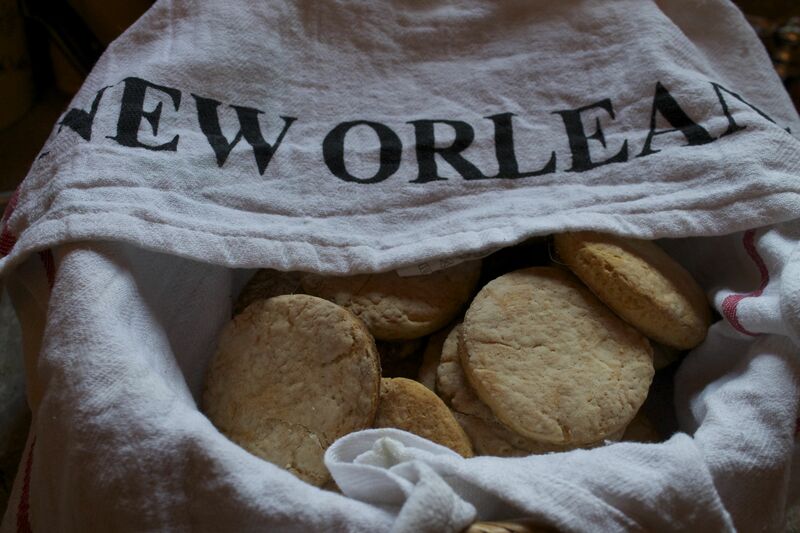 The biscuits still came out light and flavorful, just on the thin side. Sift together flour, sugar, baking powder and salt. In a separate, large bowl, mix the sweet potatoes and butter. 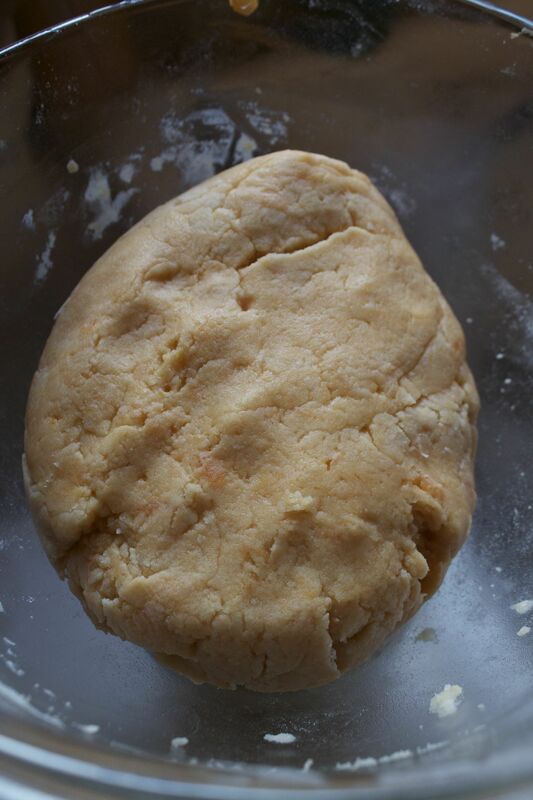 Add the flour mixture to the potato mixture and mix to make a soft dough. Then add milk a tablespoon at a time to mixture and continue to cut in. Turn the dough out onto a floured board and toss lightly until the outside of the dough looks smooth. 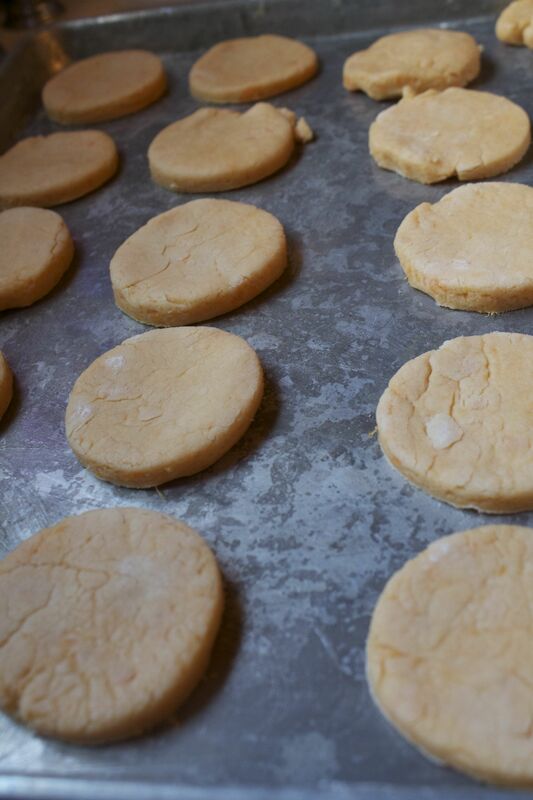 Roll the dough out to 1/2-inch thick and cut with a biscuit cutter. Place the biscuits on a greased pan and coat tops with melted butter. Good and good for you – especially with a little bit of Steen’s cane syrup or some honey and some spicy boudin. I’m with some Golden Crown Literary Society folks who were here for a site visit in advance of our 2015 conference (July 22-26th, 2015). 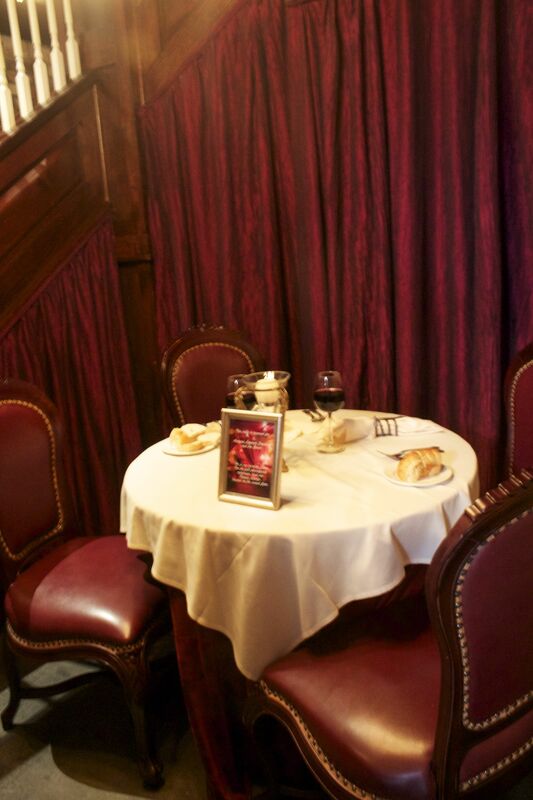 Thinking forward to potential events, they wanted to eat somewhere with a ghost. 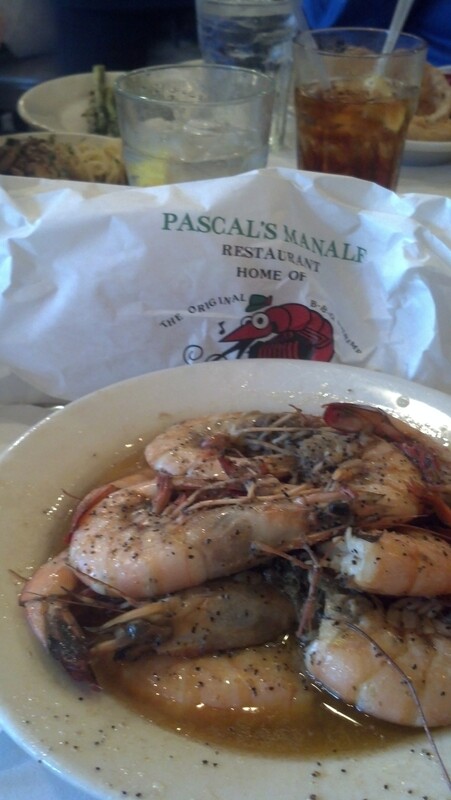 We decided to head over Muriel’s Jackson Square. 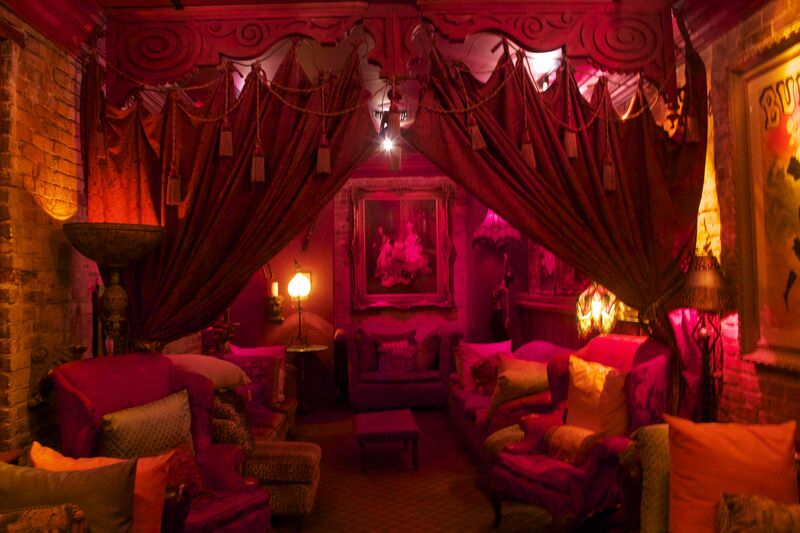 They treat their ghost well and even set out a place for Pierre Antoine Lepardi Jourdan and guest. 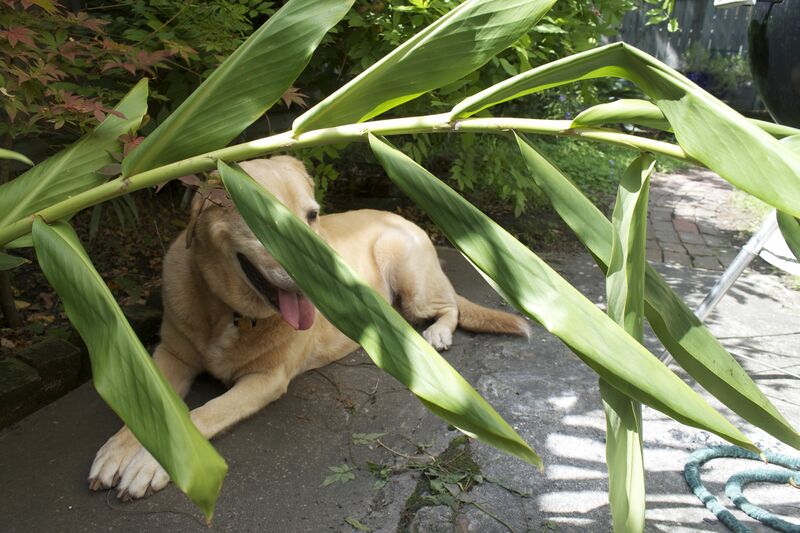 While alive, he adored the home he spent years renovating. Jourdan was a gambler, though and in 1814 he wagered the place in a poker game and lost. Rather than hand over his home, he committed suicide. We didn’t see the ghost but we had a good meal nonetheless. 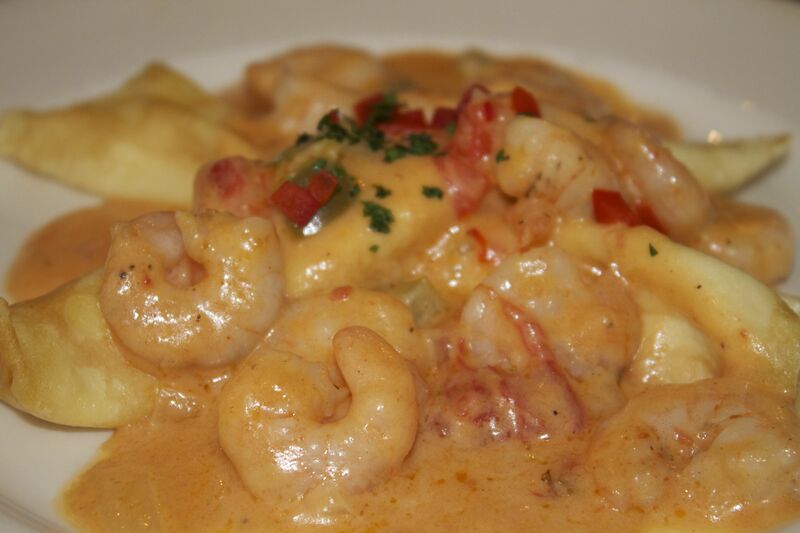 I had the gulf shrimp with pasta. 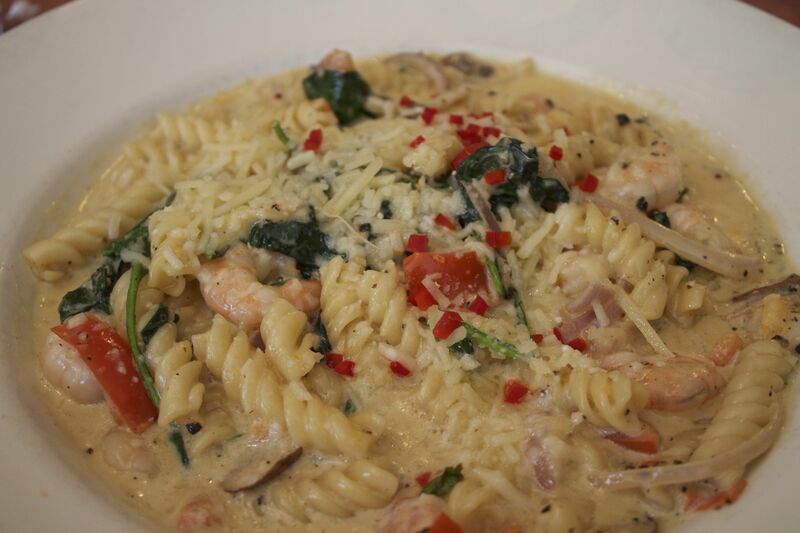 Lots of mushrooms, shrimp, spinach, tomatoes and onions in a cream sauce. Very nicely flavored and their bread was delicious soaking up the sauce. 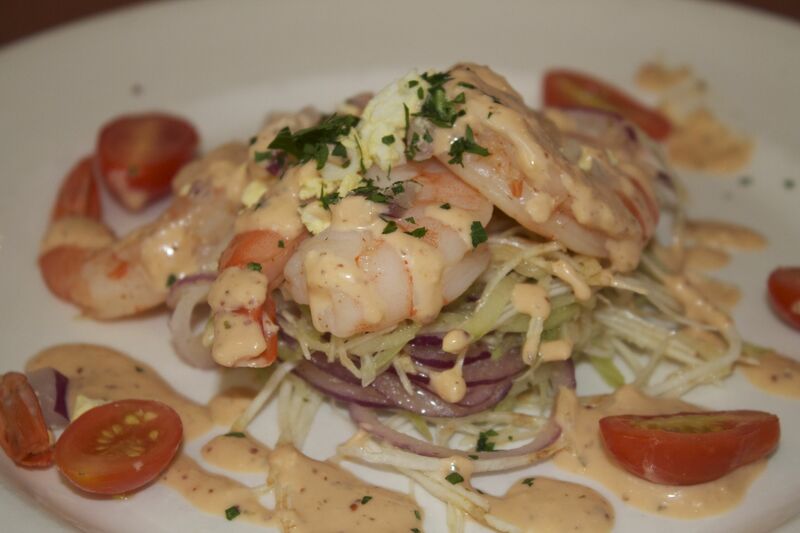 Judy had the shrimp remoulade and thought it was delicious. She came close to licking the place to get every last spot of sauce. Lizz and Michelle thought the shrimp and goat cheese crepes were divine. Michelle said the cheese and sauce and creamy texture were beautifully melded together. Service was excellent with drinks replenished rapidly and more bread brought without asking. All our plates were brought out together and they waited until we were all finished before starting to clear. 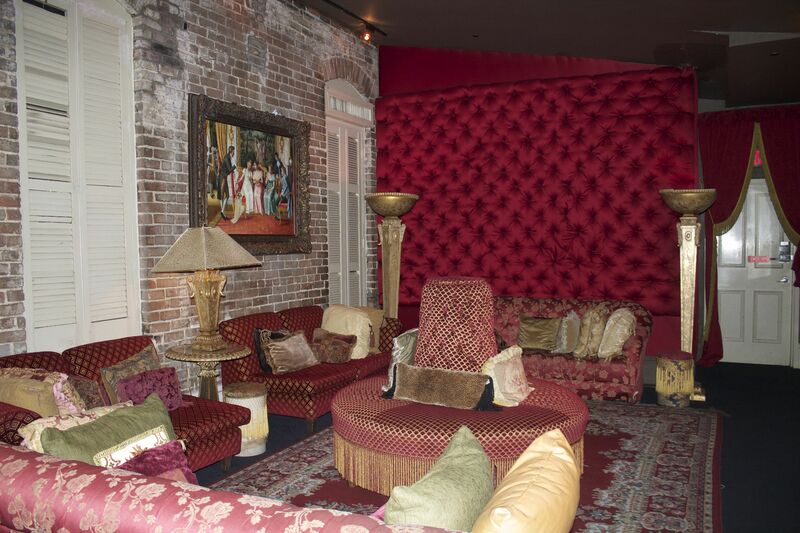 All and all a great time and I think the upstairs seance lounges will make a terrific place to do some paranormal readings. 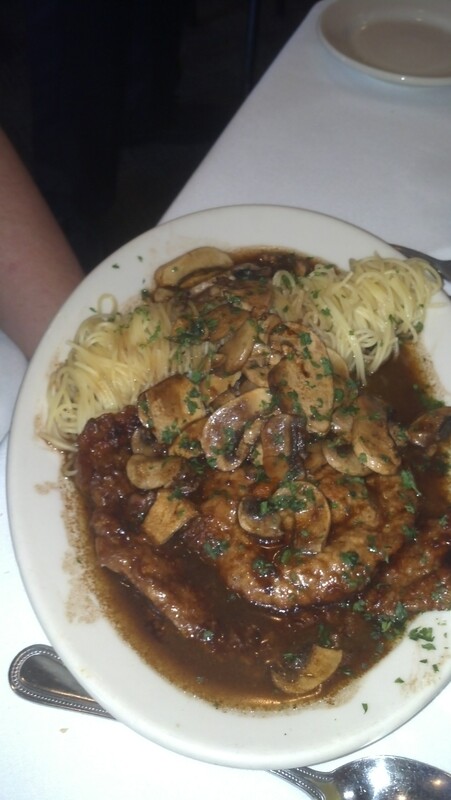 Michelle had the Veal Marsala and it was quite good – very tender, large mushrooms and a delicious sauce. Definitely the place to visit in Uptown. I was jonesing for chocolate today and was feeling too lazy to really do that much to satisfy my craving. 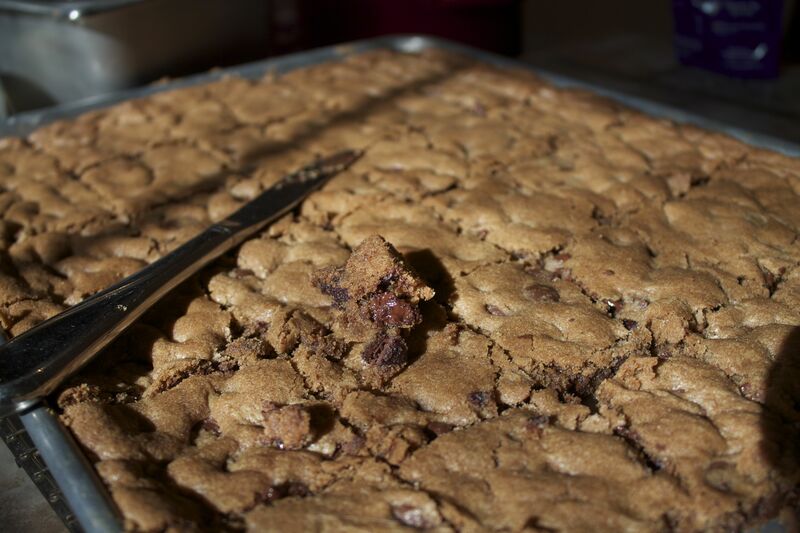 That’s when I decided on doing a pan of chocolate chip cookies, with a mix of semi-sweet and bittersweet morsels and a 1/4 cup of cocoa powder to make sure they had enough umph. Sift together flour, baking soda, salt and cocoa powder in a medium bowl, set aside. Cream together butter and sugars. Add vanilla and mix well. Break in eggs one at a time. Gradually add flour mixture. Scrap down bowl and mix in the morsels by hand. Butter a 15X10X1 baking sheet. Spread out dough. Dampen fingers to get it evenly spread to the corners. Bake for 20 minutes. Cool for 5 minutes before cutting cookies. Let cool the rest of the way before storing in an air tight container. I was at a meeting today and someone mentioned that they thought the sesame chicken at Dragon King on Claiborne Avenue was better than what is found at Five Happiness. As it was on the way home, we stopped by the strip mall where it is located. Very bare bones, the place is perfectly set up for take out. 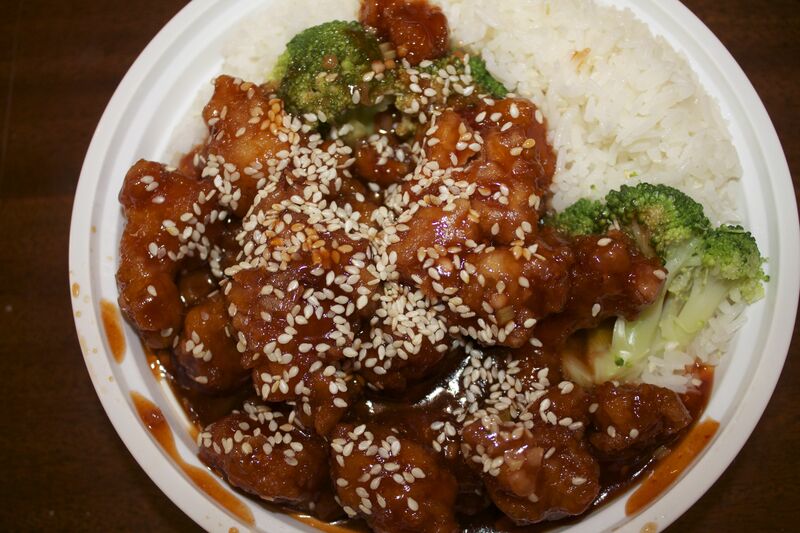 In very short order, I had a nice order of sesame chicken. Well sauced, the chicken was well cooked and quite tasty. I’ll have to make another visit to Five Happiness to really compare but this meal was definitely good enough for a repeat visit. 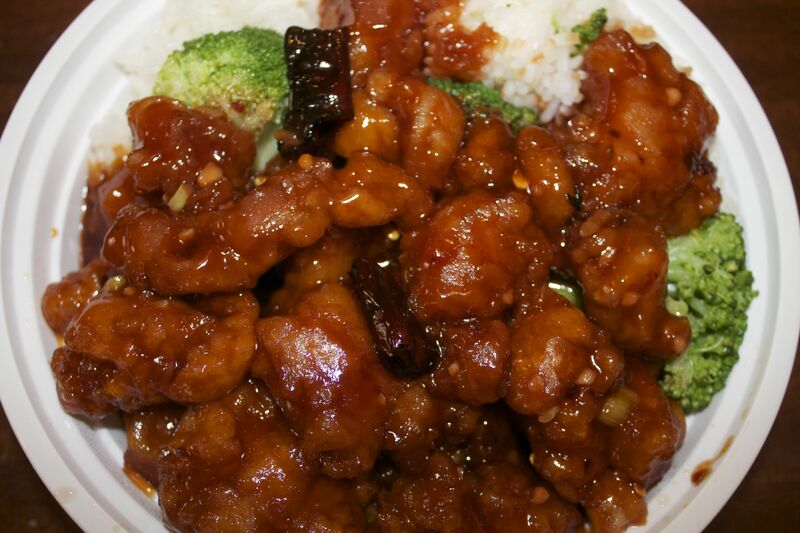 We also got an order of General Tso’s Chicken because I can’t resist the gentle heat of it. Also very good, with the fried chicken pieces still a little crisp despite the sauce. These are the lunch specials ($5.95 plus rice). Good prices and large portion size makes this an affordable and delicious place to fuel up. My main issue is that we didn’t get any fortune cookies! “Well,” said Pooh, “what I like best,” and then he had to stop and think. Because although Eating Honey was a very good thing to do, there was a moment just before you began to eat it which was better than when you were, but he didn’t know what it was called. I love honey. In my pantry, I have beautiful bottles of orange blossom honey from Florida, sourwood honey from Asheville, North Carolina and Tupelo honey from Mississippi as well as a jar from St. Bernard Parish bees. When I travel, I try as many local varieties as I can and still dream of the lavender honey I had in France, the manuka honey from Australia and the thyme honey from Greece. While I love it on biscuits and to sweeten a nice cuppa tea, I also love using it in marinades. A favorite of mine is this honey, mustard, lime chicken. Those amounts, whisked together, will marinade 2 chicken breasts for cooking in a skillet. I up the amounts when marinading a whole chicken for grilling (4, 8, 12). Marinade for at least 30 minutes and as long as 3 hours. For the grill, I filled a chimney fire starter with about a quart or so of charcoal briquets and built a fire on two sides of the bottom grate. 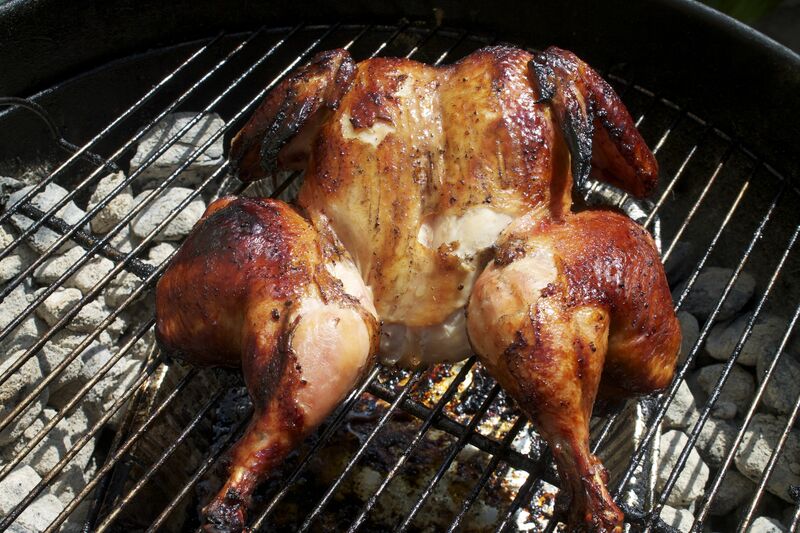 I grilled the chicken breast side down for 20 minutes and then turned it over to cook for an hour. Make another recipe of the honey, mustard, lime juice and whisk it together in a small saucepan. Bring the sauce to a boil. Plate the chicken and spoon over the sauce. Serve with wild rice (continue the honey theme by adding a tablespoon of honey to the rice water).